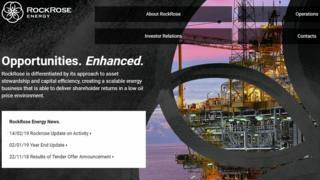 Oil and gas firm RockRose Energy has agreed to buy all of Marathon Oil's interests off Shetland in a deal worth $140m (£107m). The company has bought up 100% of both Marathon Oil UK and Marathon Oil West of Shetland, subsidiaries of Marathon Oil Corporation. The deal will see the independent operator take stakes in the Greater Brae area and Foinaven field. Staff and assets in Aberdeen and Peterhead will transfer to RockRose. RockRose executive chairman Andrew Austin said: "This acquisition marks a major step change in the group's reserves and production profile. "Given the quality of these assets the board's view is this is a good opportunity to make the transition to the role of operator. "We look forward to welcoming Marathon Oil UK employees, who have an excellent track record operating in the North Sea, to the RockRose team." Mike Tholen, upstream policy director at industry body Oil & Gas UK, said: "This news is a further signal of confidence in the industry - new entrants bring fresh ambition for investment, reinvigorating activity in existing fields and pursuing new opportunities. "While we cannot comment on the commercial decisions of our members, we commend the contribution Marathon Oil has made to the success story of the UK North Sea."